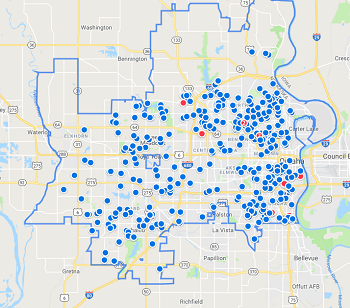 Houses Going into Foreclosure | Styl Properties, Inc.
We recently checked with Zillow on houses going into foreclosure in Omaha. We were surprised to see almost 400 houses in some form of foreclosure. Can you sell houses going into foreclosure quickly in Omaha? Normally, the process is time-consuming. It requires choosing a realtor and choosing the right price for your house. Real estate experts tell you to make the house look great from the curb, and move all of the personal things out of the house. They also suggest you stage the home for sale, which may be expensive. After doing all that is suggested, there’s no guarantee you won’t still be trying to sell next summer. Deals for your house can also fall through for a number of reasons. Try calling a real estate investor. It is quick! You can sell houses going into foreclosure in Omaha normally in 30 days or less. That is much quicker than a traditional sale, which can take several months even if there are no major items that need to be repaired before closing. In most cases when an investor and a seller can agree on a price immediately, they can close as quickly as one to two weeks. A real estate investor will buy as-is. Worrying about some repairs that you’ll need to fix based on an appraisal? An investor will estimate the repairs needed to restore your property, arrive at an offer, and will purchase the property in whatever condition the property is currently in. No Fees! A real estate investor doesn’t charge you a real estate commission and may take care of any other nagging financial problems such as back taxes, code violations, risk of foreclosures Omaha, or past due water and sewer bills.